Rhaune Laslett-O'Brien, 1919 - 2002. 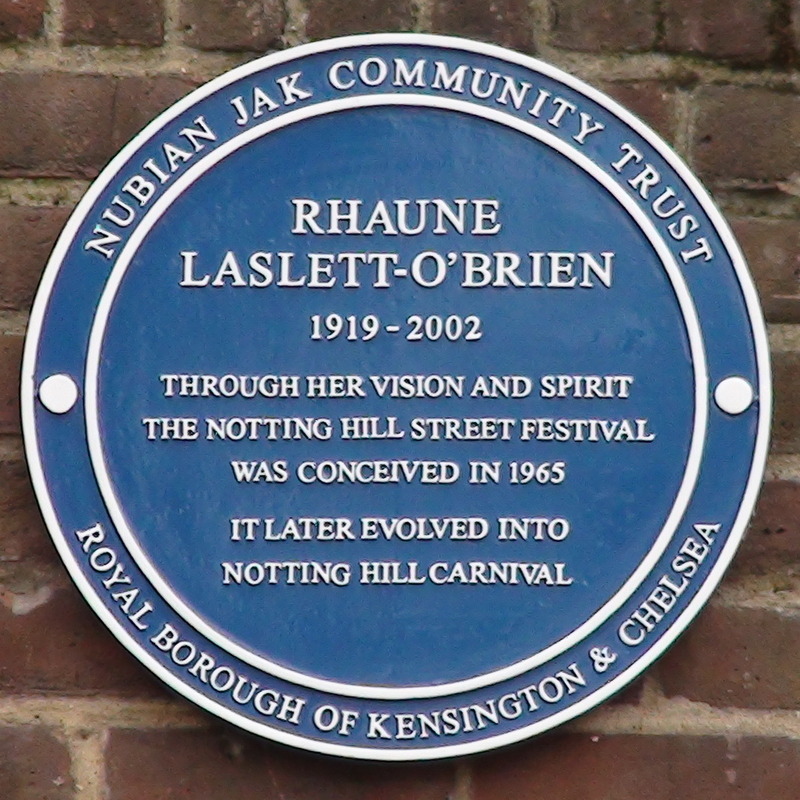 Through her vision and spirit the Notting Hill Street Festival was conceived in 1965. 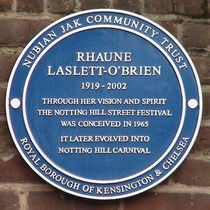 It later evolved into Notting Hill Carnival. Our photo shows the Jones plaque on the north side of this pedestrianised road. The O'Brien plaque faces it on the south side. Unveiled during the Notting Hill Carnival, 2008.